Step back in time to the 1950s and 1960s – when rock and roll was King! Discover how to get the vintage look as you experience the glamour of the era at Flamingo Amy’s Pop-up Salon. Hear tunes of the age and learn the latest dance steps. 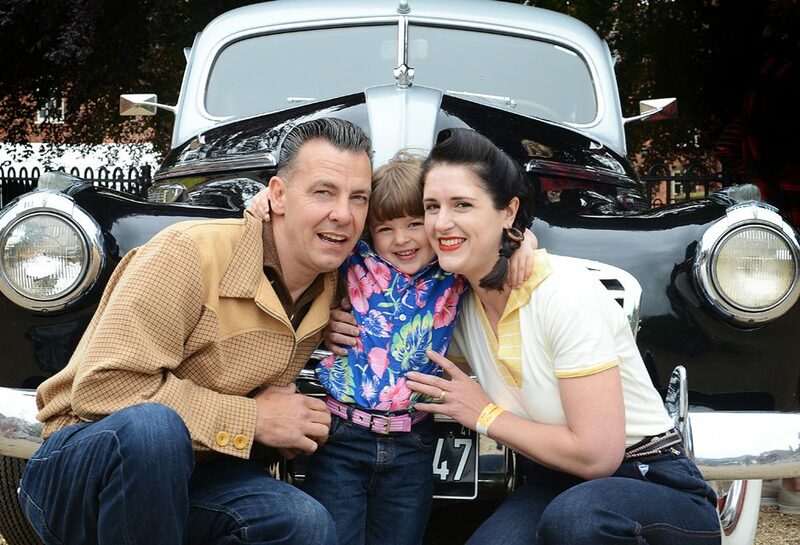 Discover classic cars from a golden era not forgetting to visit the Vintage Market with lots of period treasures on sale. Get into the swing with a DJ spinning records from the 1960’s. Live music from the Austin Beats, a British beat band sure to get your pulse racing and your feet tapping. Discover gems from the past with an array of Vintage jewellery, china, furniture, homeware and clothes to purchase from the retail marquee. If classic cars are more your thing, admire a range of period vehicles, from an American Ford Pick-up Truck to 1968 Mini Cooper. How about some tasty refreshment? The Travelling Bluebird will be serving posh toasties from their vintage caravan or be tempted by Natural Born Grillers with their tasty gourmet burgers. There is also sweet treats available from our 1960’s Village Shop. Get creative in Art Attack! and make some groovy records, or experience a 1950s school lesson – there really is something for everyone!